July is here and Summer is in full swing! 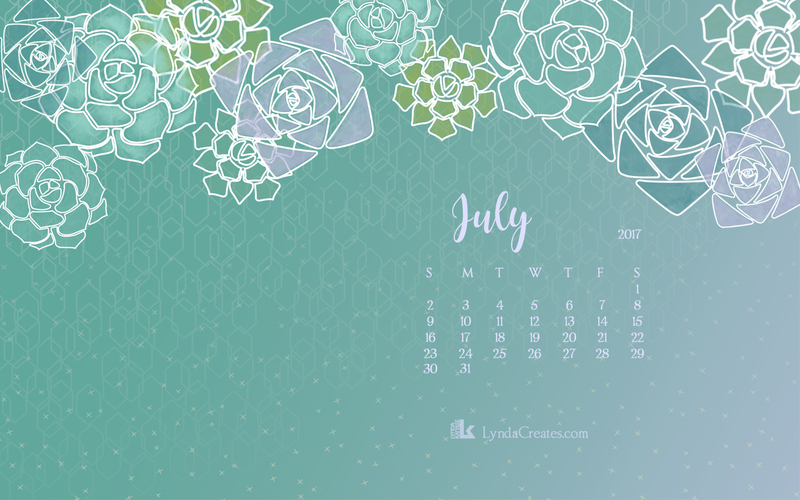 This month’s calendar includes some of my watercolors with lineart from my Succulent Serenity paper pad for Sizzix. I just love the soft lavender colors, don’t you?